Huntsville, Ala. – Scientists at GeneCapture, Inc., an associate company on the campus of the HudsonAlpha Institute for Biotechnology, have developed a method to report phenotypic antibiotic sensitivities/resistances direct from patient samples in only 5-75 minutes. The patent-pending technology is being developed for point of care and emergency applications. Directors at UAH’s Faculty and Staff Clinic and the Student Health Center previewed GeneCapture’s new technology for rapid antibiotic sensitivity testing. This week, scientists from GeneCapture previewed the data collected from their functioning prototype, the “C-AST” antibiotic sensitivity testing (AST) system, and previewed the envisioned AST device for the directors of the Faculty and Student Clinic and the Student Health Center at The University of Alabama in Huntsville (UAH). These clinics have collaborated with GeneCapture in the past by providing samples and operational expertise as well as participating in joint research. The AST technology uses actual patient samples challenged with breakpoint concentrations of various drugs that may be effective against the identified bacteria or fungus. The machine-learning algorithm reports sensitivity or resistance by interpreting optical scanning of the sample at various wavelengths. 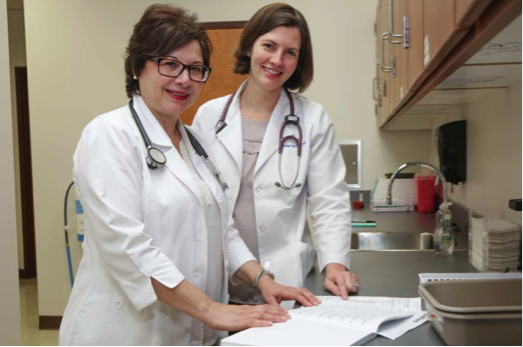 “We appreciate the diligence and passion of the GeneCapture team in developing products that will positively impact patient and clinic experience, especially in remote areas that have limited access to laboratories,” says Louise O’Keefe, PhD, CRNP, CNE, FAANP, who serves as director of the UAH Faculty and Staff Clinic. GeneCapture is developing products for commercial and government applications for point of care diagnostics. The company’s patented CAPTURE platform performs direct RNA hybridization to rapidly genotype infectious disease organisms from urine, saliva and blood. The ability to detect up to 200 pathogens from a single run at an expected price of $20 sets the CAPTURE ID platform apart. With the addition of antimicrobial susceptibility testing to their offerings, GeneCapture is in a position to bring the capabilities of a microbiology lab to the point of care and to underserved locations in the U.S. and around the world.